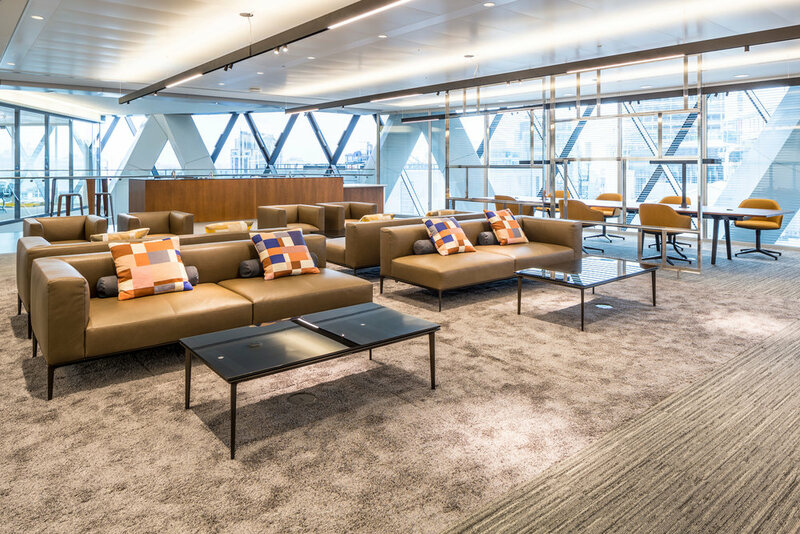 Salt & Pegram were selected to provide all furniture for the refurbishment of multiple floors in Saint Mary’s Axe. After the pilot floor we worked closely with the architect to consolidate furniture suppliers in order to negotiate the best terms. In association with JLL,the client and Burtt-Jones Brewer we developed a schedule that included an innovative use of a sit/sit desk across all users and breakout spaces that promoted a radically different culture of working practice.The project has been phased over 18 months with each floor installing over a strict and narrow programme. We have coordinated closely with the main contractor, Collins and have delivered each floor on time. At the end of each phase we have organised staff training and are currently developing a Service Level Agreement that will ensure prompt response to the clients needs for the smooth running of aftercare operations.